Susan blends science and spirituality into simple, practical, everyday actions that promote health and happiness. 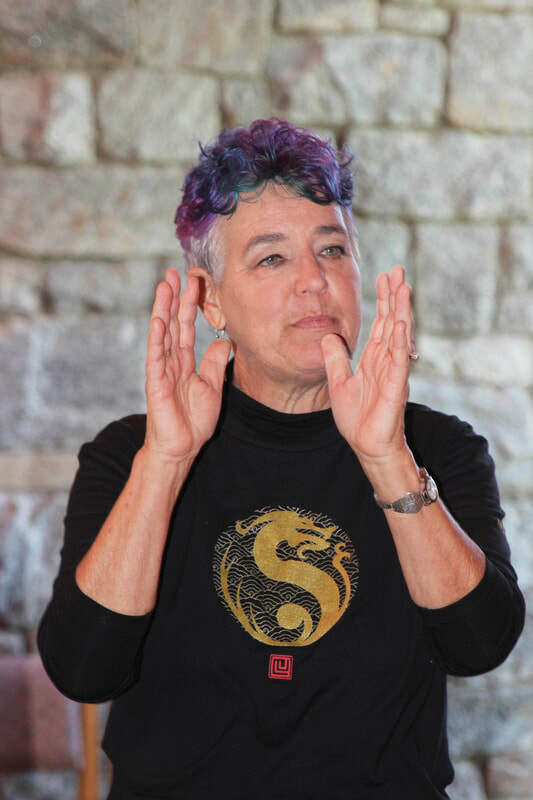 Weaving together her backgrounds in occupational therapy and theology, she integrates theories from conventional western medicine, indigenous healers, and traditional Chinese medicine (TCM) to provide a compass for navigating a journey to health and happiness. Put faith back into healing. Learn to trust your own healing journey and our body's innate ability to heal.Susan blends science and spirituality into simple, practical, everyday actions that promote health and happiness. Healers around the world have used magnetic points on a compass to organize and use healing energies, long before compasses were used for navigation. We ill use found objects from nature to make a compass based on a form used in Traditional Chinese Medicine and use these to navigate our unique path to health and happiness. Workshops of 1-3 hours: Try the Healing Compass for yourself to understand how this approach provides a way to understand your own health issues. Full Day Seminar: Spend the morning using the Healing Compass for insights into your own health issues. Spend the afternoon applying a similar model to a client. Two Day Seminar: Spend our first day exploring the archetype of the wounded healer using insights from the Healing Compass as gifts. Spend the second day applying these insights to working with clients to get at spiritual roots of health issues and how to address them with our unique therapeutic toolboxes - from a wide array of professional disciplines.